This CD reissue shows Abysmal Growls Of Despair offering a thoroughly engaging experience of beauty and brutality. Our guest of honour on the review platform today is Abysmal Growls of Despair (AGOD) - a solo-driven French Funeral Doom Metal outfit that is commandeered by an individual named Hangsvart. Considering that the band is still relatively in its early years of operation (formed in 2013), they have nevertheless managed to put out a fairly impressive number of releases. 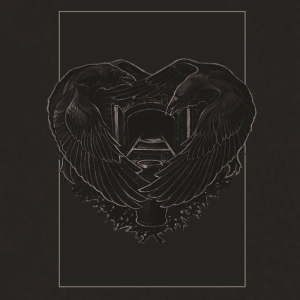 'Dark Days' marks the band’s second full-length release and after having spent the last couple of weeks qualitatively with this album, I enthusiastically look forward to checking out the remaining spread of their doom-laden offerings. I found the breadth of their work in 'Dark Days' to be quite intriguing. In as such, I ascertained AGOD to be above and away from the swamp of mediocrity and stylistic conformity evident amongst its peers - especially pertinent with the apparent explosion of ‘bedroom bands’ that have over-saturated the doom marketplace in recent years. Music aside, a quick visit to the band’s Bandcamp page will also reveal the equal measure of value they place on their visual artwork and imagery, the combination of which insinuates a band that has devoted considerable energy and thought into developing a thematic consistency across its expansive discography. 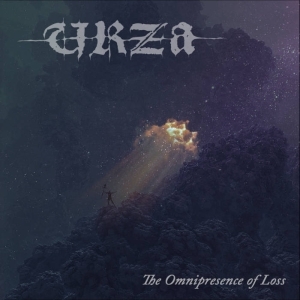 This may be bad practice, but I do observe myself harbouring pre-conceived assumptions of what to expect with a new album - particularly when it comes to Funeral Doom; and as such, this expectation generally consists of being on the receiving end of an onslaught of crushing riffage at sluggish-ridden tempos that brings one right down to a point of absolute despair and hopelessness. Indeed, AGOD certainly delivers in this regard - however, interestingly, this does not seem to be their primary prerogative. Although the album honours the constituents of the ‘dark’ (i.e anguish, burden, loneliness etc. ), it simultaneously offers a ‘ray of light’ in the form of of hope, harmony and connection. This apparent nature of dualism pervades the full breadth of 'Dark Days' and carves out an interesting trail for the willing listener to embark upon. Admittedly, my preliminary response to the album was a divided one. The album kicks off on a strong note with ‘Darkest Thought’, a track that serves as a good representation of what is to come. It then slips into ‘Tormented Mind’ which, unlike the opening track, I found to be a little positively-ethereal for my personal taste. However, it is upon descending into the third track, ‘Vision’, that all conscious judgement and mental self-talk was completely washed away and true musical communion took place. Possibly my favourite track on the album, ‘Vision’ brilliantly combines heavy-droning guitars and intelligent leadwork. This proved to be an all-consuming experience, the effect of which I found very inspirational considering the rather minimalistic nature of the instrumentation and structure employed. 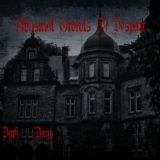 The remaining tracks on the album follow a generally similar narrative, one that patiently pulls the listener into AGOD’s inner haven of comfortable darkness and solitude. The band also generously offers a couple of bonus tracks on the album, and it is especially noteworthy to mention that the bonus tracks consist of a much heavier nature in contrast to the more melodic makeup of the main tracklist. I would recommend ‘Shape of Depth’, a heavy, brooding drone-like piece backed up by sparse yet effectively-intense drumming. Hangsvart displays a high level of musicianship and intelligence with his formidable yet humble display of control over his instruments, from the guitarwork and rhythmic elements to keyboards/synth layering. Of particular mention would be the instrumental arrangement on the album, particularly with key reference to the drums. As opposed to the conventional practice of employing standard drum pattern signatures (generally comprised of hi-hats, kick and snare at 4/4 time or equivalent), the band instead employs a more tribal approach to its drums with particular emphasis placed on tom-laden sequences. In combination with the droning guitars, keyboard sequences and ethereal atmospheres, the tribal rhythms bring about a very different interpretation of the music. As such, it induces a much higher level of intensity and feelings of suspension rather than the comfort of trailing a pre-defined, predictable drum sequence. These little nuances ultimately contribute to a very effective structural harmony amongst the different instrumental elements, whilst at times, creating an almost nerve-wrecking atmosphere. The raw production qualities do well in complementing the band’s sound, however there is certainly room for improvement in this area. 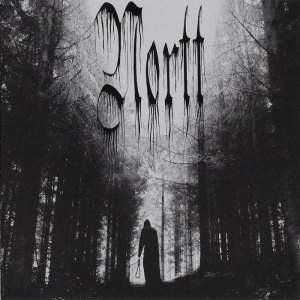 The combination of relatively ‘thin’ guitars, submerged drums and obtrusively-awkward entrances of harsh vocals do make things feel a little disconnected at certain points. 'Dark Days' turned out to be a thoroughly engaging listening experience for me, one that was filled with equal proportions of beauty and brutality. If I was to sum up the album in a single sentence, it would be this: 'Dark Days' serves to be a sonically delectable canvas that encourages the willing doom-voyager to explore the forest of his or her own mind. Do jump onto their Bandcamp page, support their work, and drop the band a kind word or two of appreciation.